Two new Machins appeared at Stampex yesterday, the 1st class and 1st class Large counter sheets with 2013 year codes, which will be in stock as soon as possible. That was a successful first blog entry from 'the field' yesterday from the smartphone, but there wasn't enough time to add more at the time. 1st class counter sheet MA13 - printed by De La Rue with no printing date or sheet number (so far). 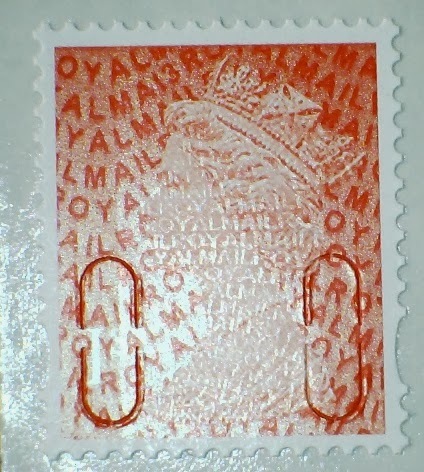 The smaller stamp has now appeared with a printing date of 30/07/13 - we have date blocks and cylinder blocks in our webshop. 1st class Large counter sheet MA13 - printed by De La Rue available both with no printing date or sheet number, and with a printing date of 02/04/13 and sheet number. The 1st and 1st Large I got today were from sheets with printing dates of ?3 Apr 13 on the margin (I wasn’t paying too much attention to the date),no second class with MA13 were available. The only other MA13 reprints were the £1.28 & £2. I was in error yesterday suggesting that the small 2nd class was present on Wednesday. I misunderstood what I was told - and hence no picture of it in this revision. The 1st class (small) I bought yesterday were definitely without printing dates. I'll be interested to see what my contacts bring back from today, and what we get from Tallents House. Interestingly they weren’t available on Wednesday when I enquired. They *had* been available on Wednesday, and on Thursday, but you must remember that officially there is no distinction between those shown here and the ones issued in January (MA12/M12L). I don't know what the official position was on the counter as I didn't ask. 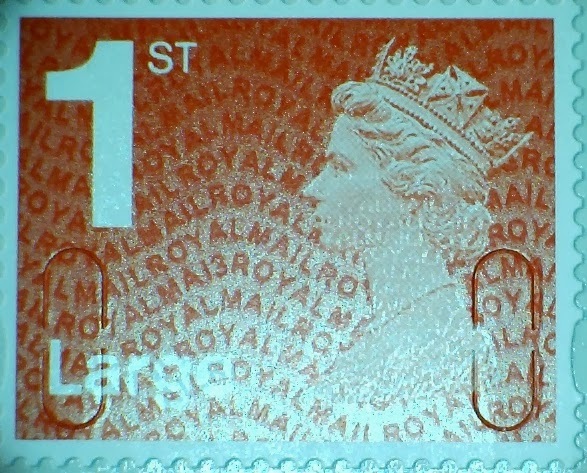 I went to Stampex in the afternoon of Wednesday and told there were no 1st class(small) MA13. And they had no year code 13 booklets at all (12 x 1st and second; 4 x large 1st and large 2nd). They had no business sheets at all in 50s large and 100s small with year code 13. Went back on Friday afternoon and they did then have 1st class small with year code 13 but the whole stack of sheets had their cylinder blocks removed except for 1 sheet (which I purchased!!). However, I did manage to get strips of vertical 5 of the De La Rue 78p (24/04/13), 88p (30/04/13) and £1.88p (23/04/13) with dates shown and also the same DLR but with no dates. 1st Red Large DLR sheets have date 02/04/13 and the 1st (small) no dates.